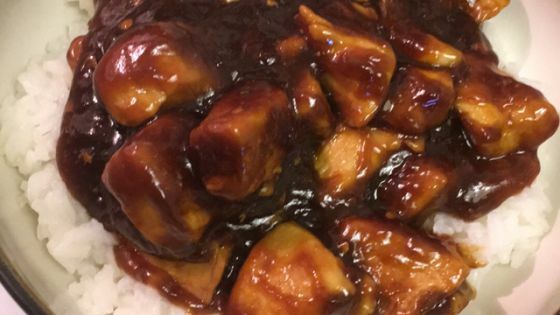 Editor’s Note: Named Bourbon Chicken because it was supposedly created by a Chinese cook who worked in a restaurant on Bourbon Street. Add chicken pieces and cook until lightly browned. Add remaining ingredients, heating over medium Heat until well mixed and dissolved. Add chicken and bring to a hard boil. Serve over hot rice and ENJOY.